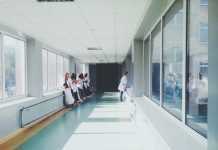 Directorate of Nursing, Odisha has released notification for admission in Auxiliar Nurse and Midwives (ANM) and General Nursing & Midwifery (GNM) training course in all INC recognized Government & Private A.N.M. training centers in the state of Odisha for the year 2018-19. Interested candidates can fill their Application as per scheduled date. All the detail related to DMET Odisha Nursing Admission 2018 like application process, eligibility criteria, selection process, etc on this page below. Latest: Reporting date of special round counselling is extended to December 10, 2018. Scroll down to check. Admission for all seats in government institutions & 85% of seats in private institutions will be filled up through common merit list. Private Institutes shall fill up 15% seats under management quota as per the eligibility criteria of INC.
Revised schedule date for DMET Odisha Nursing Admission 2018 is given below. The seats have been allotted on the basis of merit list. The allotment of seats is available on the official website: dohodisha.nic.in and SMS alert regarding allotment of seat will be sent to the registered Mobile No. of the candidates. Candidates can check first and second round seat allotment result from the official website or through the direct link which is provided below. Click here to check Special Round seat allotment -ANM. Click here to check Special Round seat allotment-GNM. Click here to check First Round Seat Allotment-ANM. Click here to check First Round Seat Allotment-GNM. Note: The alloted candidates for the Special Round Counselling of Govt. ANM & GNM courses need to submit the e-receipt of Part course fee at the respective Nodal Centre (if not submitted during the 1st/2nd/3rd Round) & report at the concerned allotted institution from Nov 27, 2018 to Nov 29, 2018. 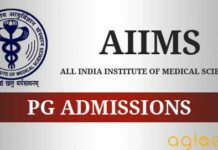 DMET Odisha Nursing 2018 Merit List of ANM & GNM has been published on the official Website. The direct link to check the same is also provided below. Merit list has been prepared on the basis of career marks. For calculating career marks, 50% of the percentage of marks secured in HSC(10th or equivalent examination without extra optional) and 50% of the percentage of marks secured in CHSE (10+2 or equivalent examination without extra optional.) will be taken into consideration. Check here Common Merit List of ANM. Check here Common Merit List of GNM. 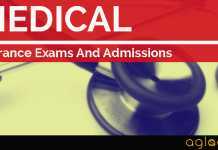 List of candidates who are selected for DMET Odisha Nursing Admission 2018 for ANM & GNM is required for Document Verification at Nodal Centers. The list is available on the official website. Direct link to check the same is also provided below for the sake of candidates. Click here to check Application List-Document Verification Schedule-ANM. Click here to check Application List-Document Verification Schedule-GNM. Candidates can apply for the ANM/HW (F) /GNM Courses online by applying in the appropriate application form available at website www.dohodisha.nic.in on or before the last date. The direct link to fill the Application form is also given below. Click Here to fill Application Form of ANM. ASHA having 10+2 pass is eligible for applying the ANM course. Physically handicapped having a locomotor disability of lower limbs from 40% to 50% only will be taken into consideration. Candidates are advised to obtain their handicapped certificate from the competent authority of the concerned district. Shall be medically fit for the course. Candidate must be 17 years of age or above as on date 31.12.2018. 10+2 with 40% marks from CHSE Odisha or equivalent thereof, However science is preferable. Physically handicapped having locomotor disability of lower limbs between 40% to 50% only will be taken into consideration. Candidates are advised to obtain their handicapped certificate from the competent authority of the concerned district. The candidates finding difficulty to register online can get the assistance of the Govt. facilities like CDMO (DPMU Office), Community Health Centre (CHC) & Common Service Center (CSC) at Gram Panchayat level.Service charges of Rs. 35 /-only is to be paid towards filling up of form at Common Service Centre. Candidate must verify the name of the institutions & total no. of seats available to them from the official website of ONMC (www.onmc.nic.in) before filling up the choices for institutions. The candidate shall give his/her choices in order of preference from the enlisted institutions as per her/his desire. The candidates are advised to see the updated list of institutions from the official website of ONMC for choice filling. The candidates are permitted to change / re-order (through move/swap options) their choices, delete earlier choices and add new choices as many times till they finally lock their choices by using OTP (One Time Password). Candidates are advised to give maximum numbers of choices in order of preference. The Final Choice locking must be completed before Document Verification at the Nodal Centre. During Document Verification the Nodal Centre must ensure that the choice locking process has already been completed by the candidate. If not, it is to be completed at the Nodal Centre during Document Verification. Applicants are required to attend the assigned Nodal Center for verification of original documents on the scheduled date and time as notified on the official web-site. During Document Verification the Nodal Centre must ensure that the choice locking process has already been completed by the candidate. If not it is to be completed at the Nodal Centre on the day of Document Verification. The Choice Locking will be finalized at the Nodal Centre & it will be signed by both the candidate & Nodal Officer. During document verification at the Nodal Centers the candidates are required to submit two sets (one set of original, other set of self-attested photo copy) of the following documents and original bank challan towards Application Fee. The Nodal Center has to return back the original documents except bank challan to the candidate after due verification. Copy of the submitted application form duly signed by the candidate or a copy received from the help centre. Original 10th (HSCE) pass certificate and mark sheet issued by BSE Odisha or equivalent thereof. Original 10+2 pass certificate and mark sheet issued by CHSE Odisha or equivalent thereof. Original character /conduct certificate from the Head of the Institution last attended. Domicile/ Residential / Nativity Certificate from competent authority. Authentic proof of passing Odia as a subject at M.E / HSCE issued by Board of secondary education or other equivalent board (for candidates applying for Govt. Institutions & 85% of Govt. quota seats of Private Institutions. Original caste certificate (SC/ST candidate) issued by the competent authority. Physically Handicapped certificate (in original) issued by the competent medical authority of the District (in case of Physically Handicapped candidates only).The percentage of disability, locomotor disability of lower limbs between 40% to 50% only will be taken into consideration. Original SBI Challan deposit slip, Rs.500/- (Rupees Five Hundred) only towards application fees. Two copy of self-attested recent passport size Colour photograph. Original certificate of Serviceman/Ex-Serviceman from Rajya Sainik Board. Original Green Card (with all pages) issued by the Chief District Medical Officer, (In case of candidate claiming for the seat under green card quota). The name and Date of birth in green card should match with the name and Date of birth mentioned in the HSCE/equivalent certificate. Any difference regarding this should be supported by an affidavit duly sworn in before the executive magistrate. The original Medical Fitness certificate issued by the Govt. Allopathic medical officer. Merit list shall be prepared on the basis of career marks. For calculating career marks, 50% of the percentage of marks secured in HSC(10th or equivalent examination without extra optional) and 50% of the percentage of marks secured in CHSE (10+2 or equivalent examination without extra optional.) will be taken into consideration. ASHA will be given 2% extra marks for each completed year of service, subject to maximum 20% additional marks which will be added to the marks secured by her for deciding the merit position. 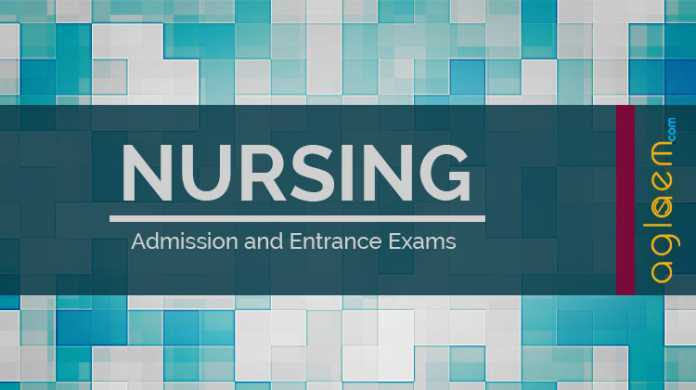 They will be allowed to pursue the course both in Government and Private Nursing Institutions according to their preference and rank in the merit list. Secured more marks in English in 10+2. Seniority in date of birth. The seats will be allotted on the basis of merit list. The allotment of seats will be available on the official website: http://dohodisha.nic.in and SMS alert regarding allotment of seat will be sent to the registered Mobile No. of the candidates. The candidates are requested to download the intimation letter of 1st Round seat allotment by logging in to their “Applicant Login” and report at the Nodal Centre for Depositing Part Course Fee. The 2nd Round & 3rd Round Seat Allotments are Auto up gradation Round. The Candidate may get seats for their higher choices. Thus the candidates are requested to report at the institutions only after 3rd Round Seat Allotment. The candidate shall deposit the prescribed Part Course Fees of Rs. 5000/- (Rupees Five Thousand Only) at SBI. She may generate / download the SBI Challan from her own page (Applicant Login) at the time of downloading the Intimation Letter. The part course fee once deposited shall not be refunded under any circumstances. The counter foil of the Challan shall be deposited at the Nodal Centre on the scheduled date. The Candidates will pay the Rest amount of the Total Course Fees during reporting / admission at the Concerned Institutions. This Round is an Auto- up-gradation Round. The Candidates may get seats at their higher choices / retain the same allotted seat as in Round- 1. The Candidates, who have been freshly allotted seats in this Round, need to deposit the Part Course Fees at the Nodal centers as mentioned in Step-5. The Candidates who have already deposited the Part Course Fees in Round – 1 are requested to download the Intimation Letter only to know the seat allotment status but need not go to the Nodal Centre for depositing Part Course Fees. Steps 7: 3rd Round Seat Allottment & Deposition of Part Course Fees & Reporting at the Institutions. This Round is also an Auto- up-gradation Round. The Candidates may get seats at their higher choices / retain the same allotted seat as in Round- 1 & Round- 2. The Candidates who have already deposited the Part Course Fees in Round – 1 & Round- 2 are requested to download the Intimation Letter only to know the seat allotment status need not go to the Nodal Centre for depositing Part Course Fees. All the Allotted Candidates who have paid the Part Course Fees are requested to Report at the Institutions on the Scheduled Date as mentioned in the Intimation Letter. For more details download Information Brochure – ANM Brochure | GNM Brochure. Is the provisional merit list of GNM released? At what time it will be released? We are continuously tracking the website once released you will be updated. Sir when the 1st round merit list of Gnm nursing will be release?? my name is in common marit list..but..i have not select in 1st 2nd 3rd round….is there anychance to join gnm ??????? You can wait for further list.